.Minister for Transport, Noel Dempsey T.D. 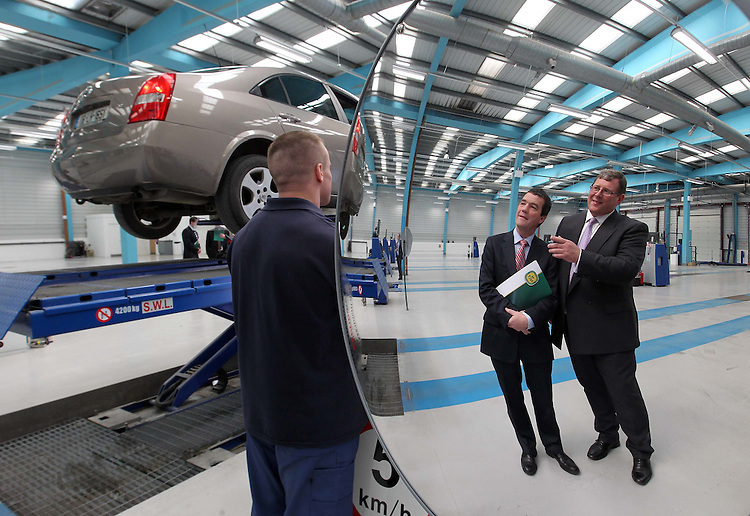 (left) Grant Henderson, Managing Director of Applus+, pictured here during an NCT inspection of a car at the new NCT facility located at Greenhills, Tallaght, Dublin operated by new provider Applus+. Pic. Robbie Reynolds/CPR.